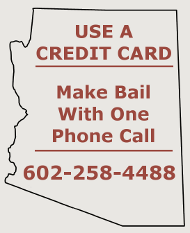 Get your friend or family member out of the Maricopa County Jail with help from our Phoenix bail bonds agents. We service all jails within Maricopa County. Bail bonds in Phoenix, AZ are posted as soon as our transaction with you is completed. Maricopa County Bail Bonds specializes in posting all types of Phoenix bail bonds and providing convenient credit card and bank deposit service to our clients; this is particularly convenient if you live out-of-state. We can post all types of Arizona bail bonds; Cash Bonds, Surety Bonds, Deposit Bonds, large or small bonds. Large or small Phoenix Bail Bonds we can help! Buy Phoenix bail bonds the fast easy way! Maricopa County Bail Bonds ™ is not just another Phoenix bail bonds company. We pride ourselves in offering you the kind of service you would expect from a small town company. We take the time necessary to help you understand the Arizona bail bonds process; we don't sell confusion, we sell satisfaction. We learned a long time ago that clients that understand the bail bond process and know their risks up front are more likely to be satisfied. Maricopa County Bail Bonds strives toward establishing strong community ties and relationships with its clients. We can provide mobile service...right to your doorstep if necessary for those individuals unable to meet us at the jail (mileage fees may apply). 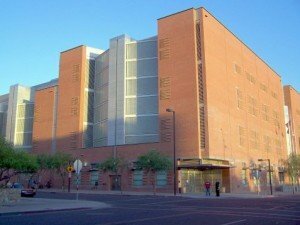 Is your friend of family member incarcerated in one of the following Arizona jails? We can get them out fast! We post bail bonds in Phoenix, Arizona. Phoenix Bail bonds agents are ready to help you! Maricopa County Bail Bonds can provide mobile bail bond service throughout Phoenix, Arizona allowing you to bail a loved one out of jail while still at work. Travel in Phoenix can be slow and dangerous; why risk an accident traveling to a Phoenix bail bondsman? Maricopa County Bail Bonds offers reasonable mileage rates and the flexibility of service that the locals love. Are you out running errands? Maricopa County Bail Bonds can meet you at a convenient location on your way, allowing you to be more productive. Posting bail on a loved one can be a traumatic event; it can often consume your day - don't let it. Hire a Mobile agent from Maricopa County Bail Bonds to post your bond. Wiring funds from one bank to another is not a difficult process. Wiring of funds is desirable in those instances where none of our banks are available in your area for a direct deposit. If you wish to wire funds to us, we will supply you with a Routing Number, which your bank will use to transmit funds from your bank to ours. Wiring funds may take a few hours before the deposit show up in our account. Late in the day transactions would not be available until the following day. All wired funds must be received and cleared by the bank prior to posting bail. Banks charge a nominal fee for wire transfers. Maricopa County Bail Bonds has a strong affiliate network of bail bond companies and agents. We are prime suppliers of bail bonds in Northern Arizona and providing Flagstaff bail bonds at the Coconino County Jail, Camp Verde bail bonds at the Yavapai County Jail, Holbrook bail bonds at the Navajo County Jail and Gila County bail bonds at the jails in Payson and Globe.